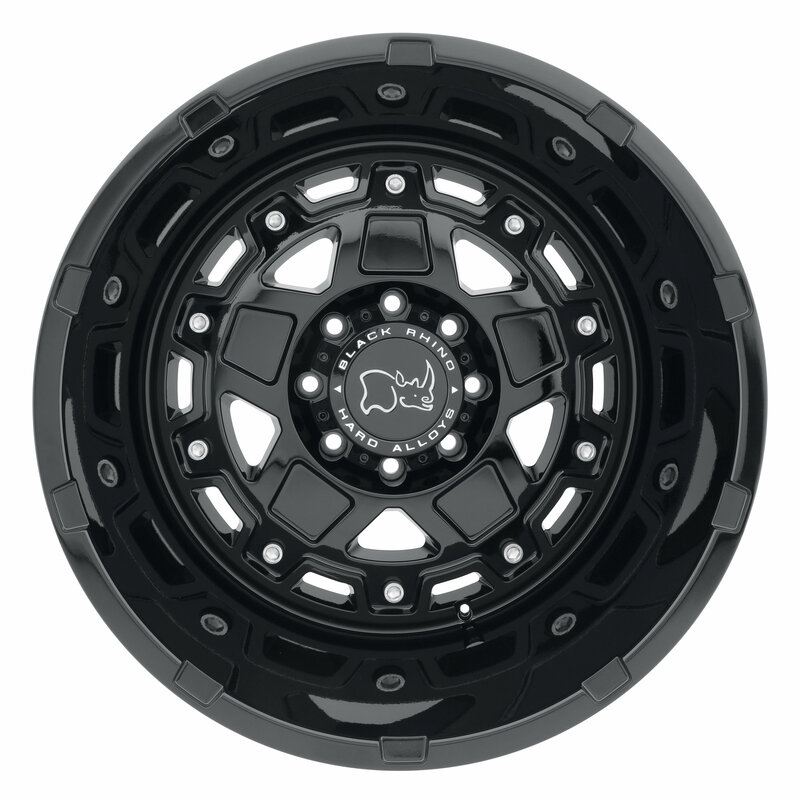 If you are looking for a heavy-duty wheel with aggressive style, then the Black Rhino Combat Wheel in Gloss Black is for you. 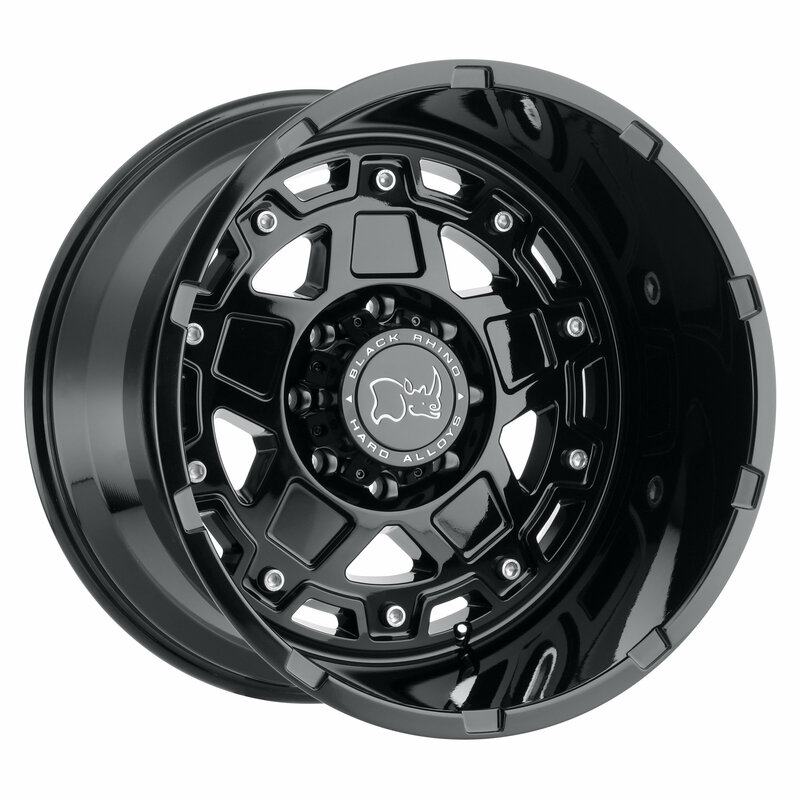 The Combat’s stunning five spoke design is precision machined for a look that will set your Jeep apart from the crowd. 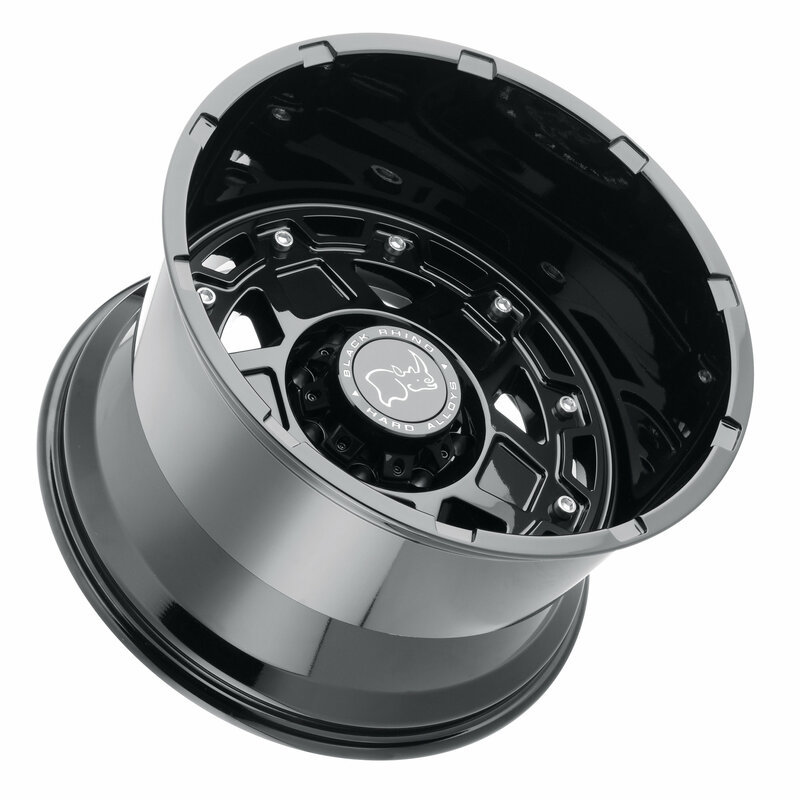 Black Rhino engineered these high-strength wheels to hold up to any street or off-road abuse. Combat Wheels are available in 17x9.5, 18x9.5, 20x9.5, 20x11.5, 20x14, 22x11.5, and 22x14 sizes, and are backed by Black Rhino’s 5 Year Structural Warranty / 2 Year Finish Warranty. Gloss Black: Black Rhino uses a high gloss black finish on their Combat Wheels that is both scratch and corrosion resistance. For additional contrast, they use a ring of stainless-steel bolt heads around the face of the wheel. Race Inspired Styling: The Combat Wheel features a tough chiseled lip, and precision machined spokes. The ten stainless steel bolt heads around the face give the Combat the appearance of an aggressive two-piece wheel with the strength and reliability of a one-piece. Heavy Duty Design: This wheel was designed from the ground up as an off-road wheel, and can hold up to anything your Jeep can handle.